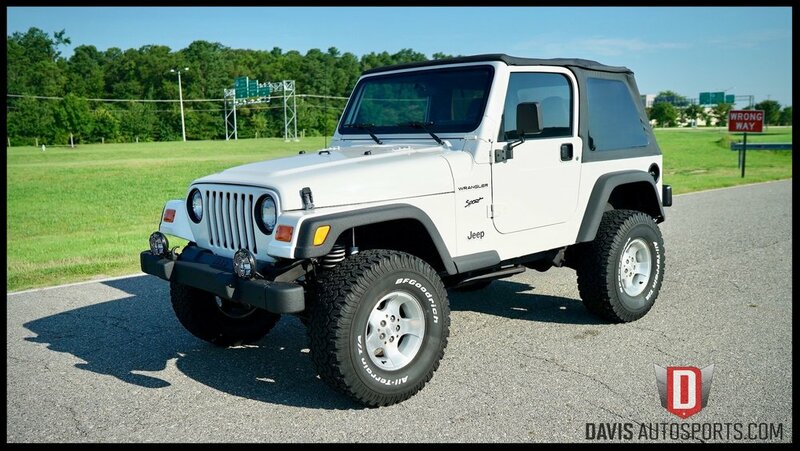 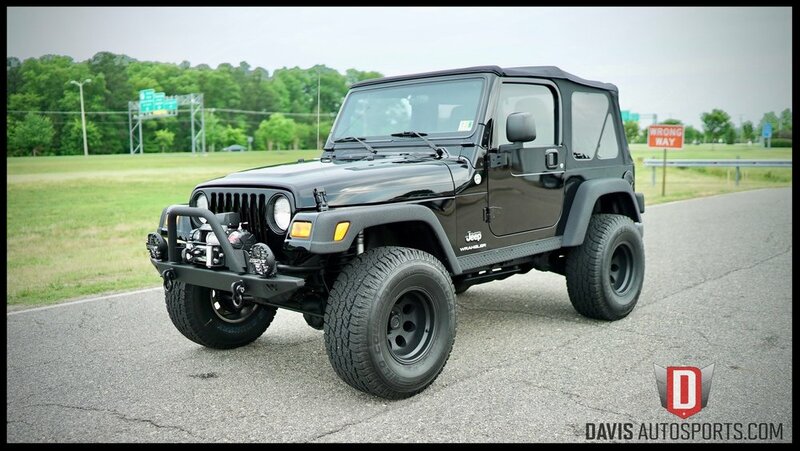 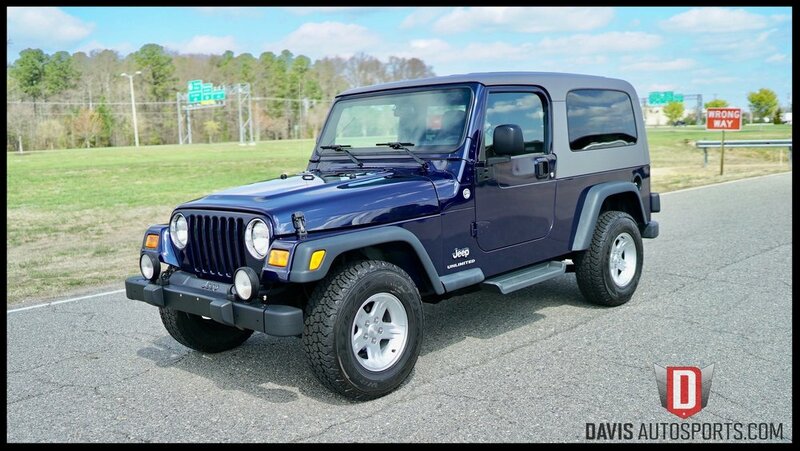 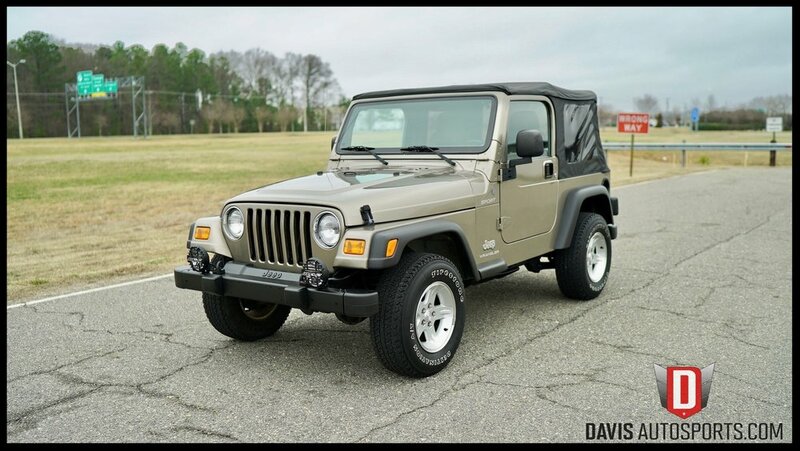 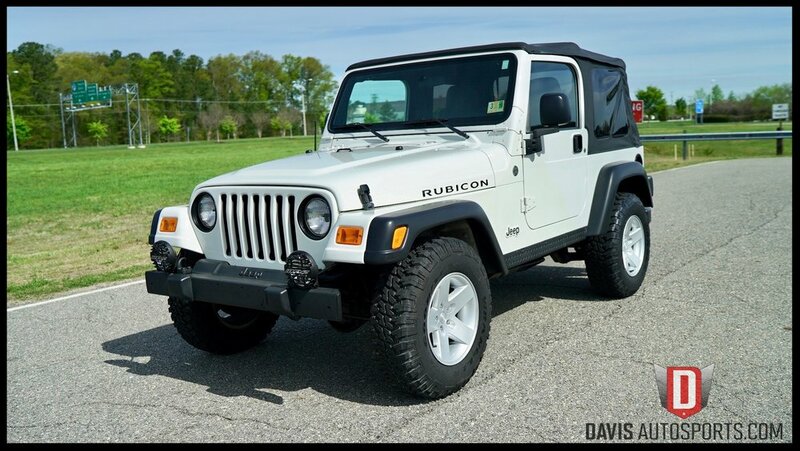 Here at Davis AutoSports, we offer the nicest, lowest mileage TJ and LJ Wranglers in the entire country. 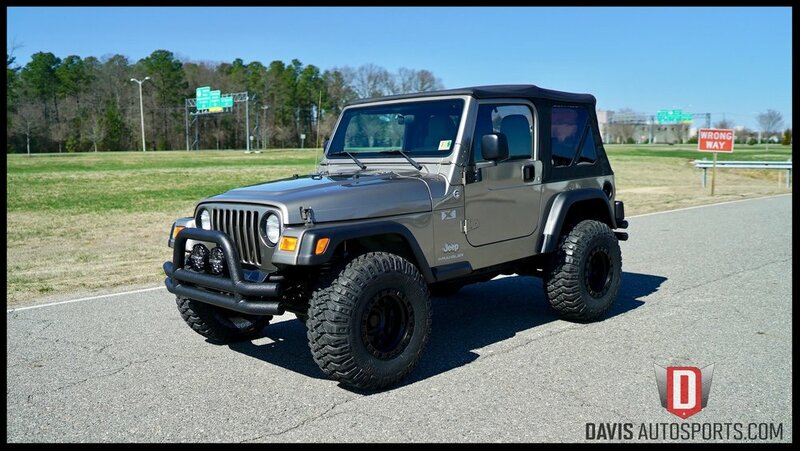 You can expect us to have anything as low as 10k Original Mile Wrangler to a fully custom built, modified TJ to a Full Nut and Bolt Show Quality Restored Wrangler. 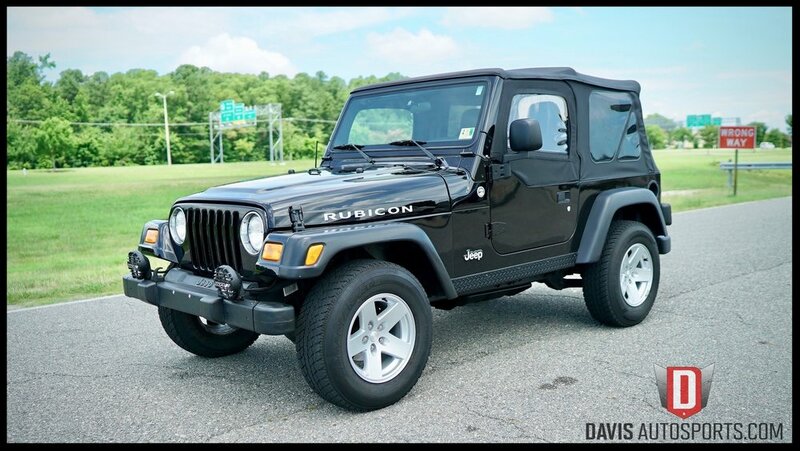 No matter the miles, options or price, rest assured our Wranglers will not be your ordinary TJ on the market. 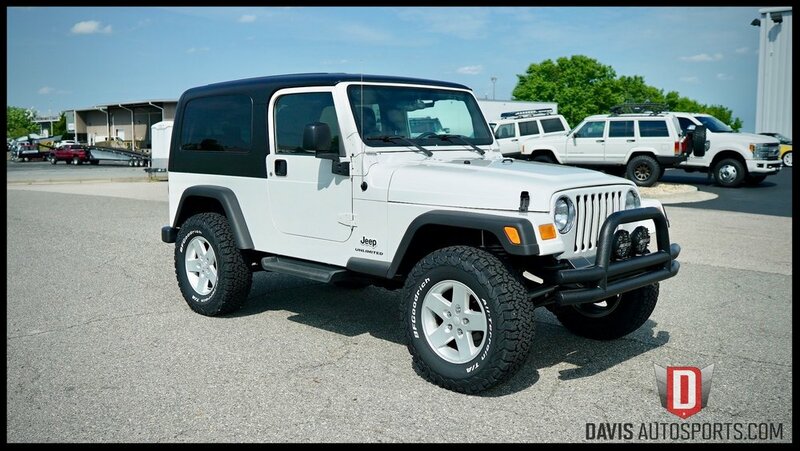 We ALWAYS have Wranglers in inventory, even if they're not listed on our site for sale. 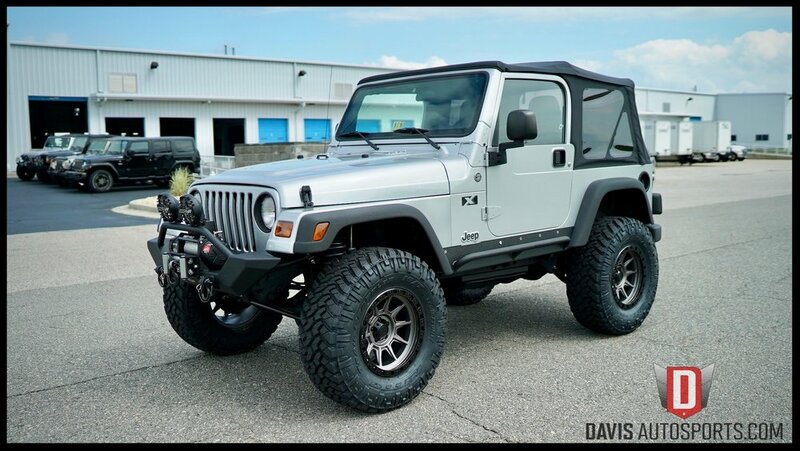 We offer every Brand including, Fox, Rubicon Express, Bilstein, ProComp, Skyjacker, Warn, ARB, Rigid Industries, Dana, G2, Smittybilt, K&N, Ripp, Amp Research, ATX, Nitto, BFG, Bushwacker, Borla, Currie, Detroit Lockers, Eaton, Fab Fours, Bed Rug, Fabtech, JKS, Flex-a-Lite, Icon, King, Fuel and Optima just to name a few. 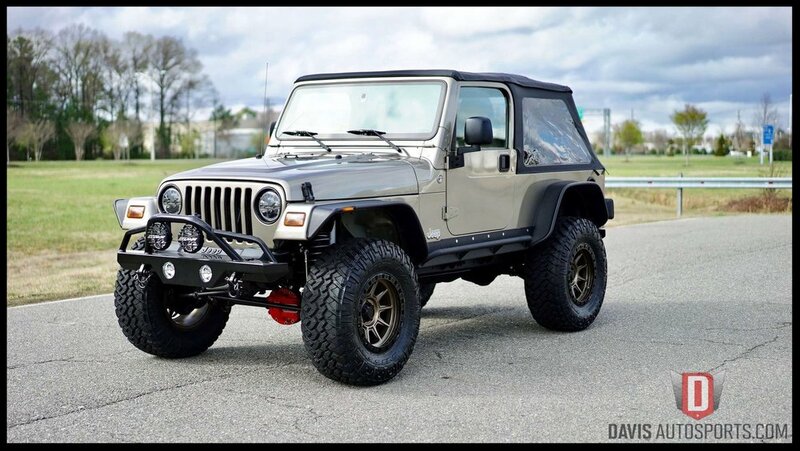 Whether it's a full blown nut and bolt show quality Restoration, a simple suspension upgrade, or upgraded leather interior, we are truly a one stop shop for your Jeep Wrangler TJ. 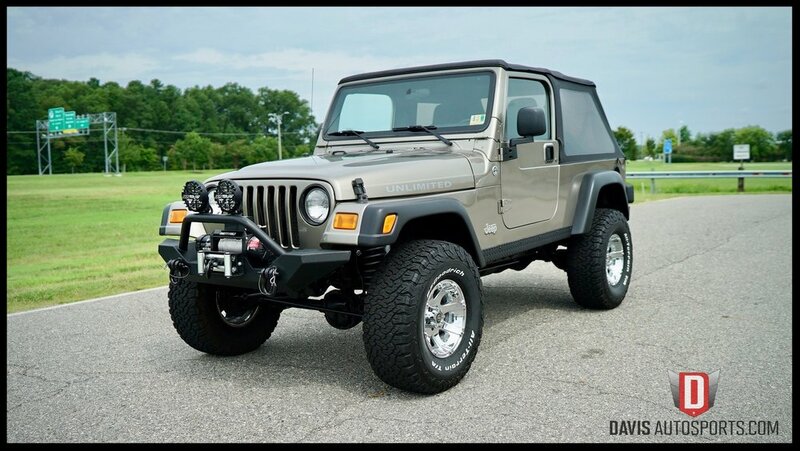 For our expert product knowledge & professional installation, please us at 855-XJ-JEEPS or 855-955-3377. 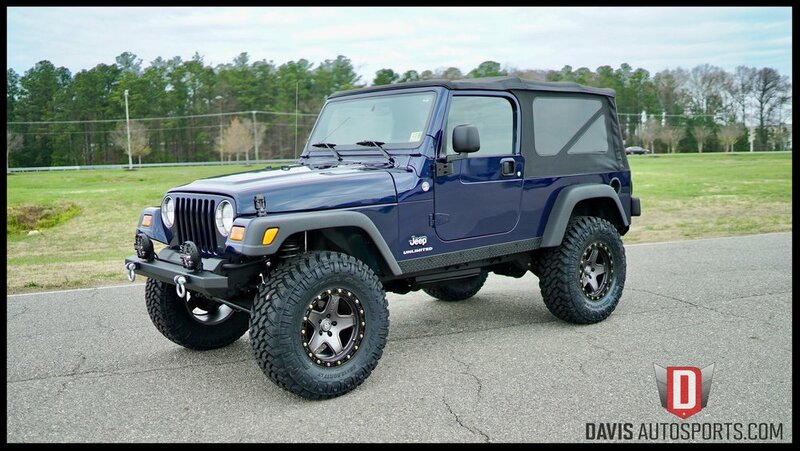 All of our custom built Wranglers come with a FULL 1-Year Warranty on Parts and Labor for modifications installed. 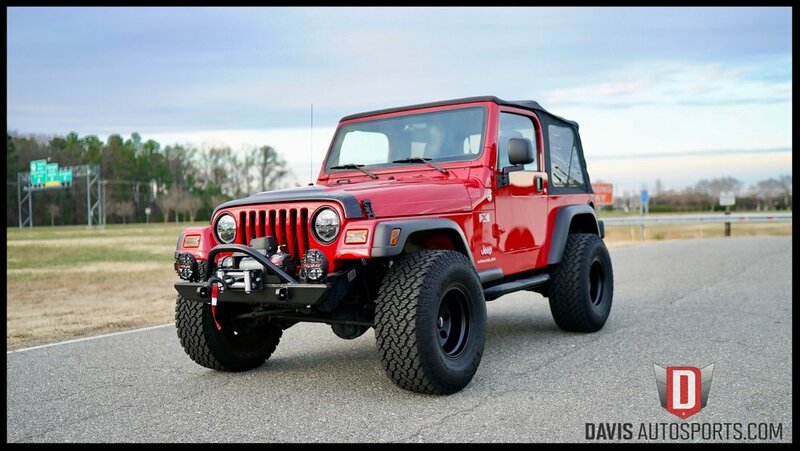 Our Full Restoration Wranglers come with a 1 year BUMPER TO BUMPER WARRANTY and a 2 year POWERTRAIN WARRANTY. 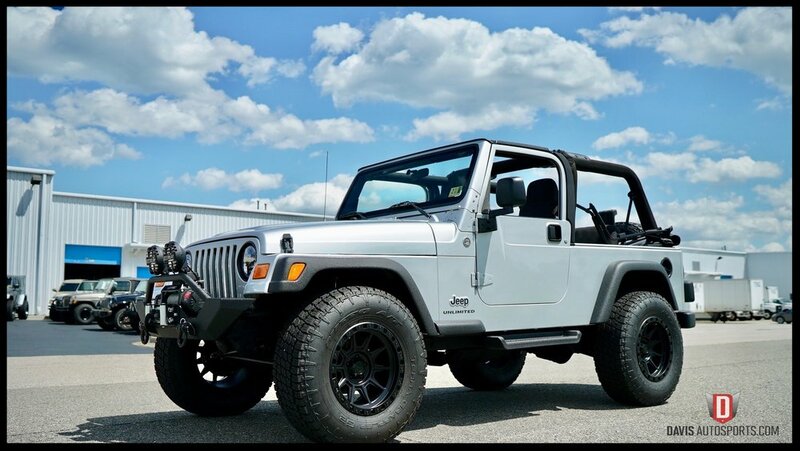 Super Clean and Classy Sahara Edition...We Installed a Clean 2.5" Suspension Lift, New JK Wheels and Tires and Much More....Sold and Off to TX.